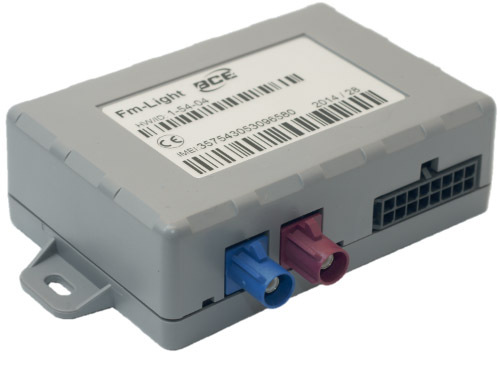 BCE FM Light+ is a device with GPS/GLONASS and GSM connectivity, designed for object tracking. It is able to acquire information on object location, speed, direction, and transfer the data via GSM network. Digital and analog inputs of the device may be used to connect different external sensors/devices. Outputs of the device may be used to control external equipment remotely. Flexible configuration allows users/dealers to adjust the device to meet their specific requirements. It has 1-Wire (iButton), RS-232 and EIA-485 interfaces. 987654321654987 – IMEI/ID (unikalny 15-cyfrowy numer urządzenia).